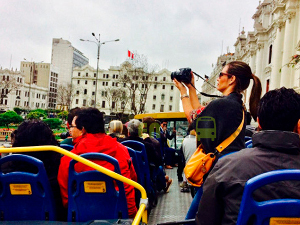 ​Includes: Panoramic tour of the Historic Center of Lima / Guided Tour to the Magic Water Circuit / Panoramic Bus (2 floors) / entrance tickets / professional guide. We begin our tour at Larcomar city mall in the district of Miraflores on a double decker Bus. We will make our first stop at the outskirts of the Huaca Pucllana Pyramid for Pictures then we will continue towards the Magic water Circuit where we will descent from the Bus for a Guided tour of it's water fountains and the Main Show at the "Fuente de la Fantasia" (Fountain of fantasy) were we will witness a spectacular show were lights and water come together. 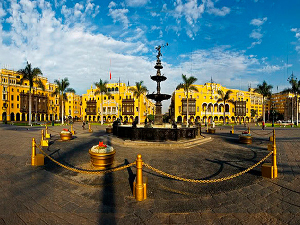 Then we will go back to the Bus to head towards the Historic Center of Lima by night for a Panoramic tour of it's main buildings and plaza. Finally we will return to Larcomar Mall to conclude the Tour. 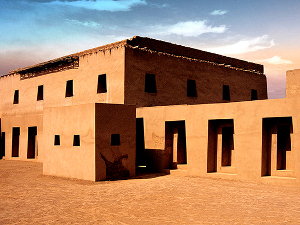 ¡Book now and secure your seats in the 2nd floor!